This week at KXCI, you'll hear the latest from Say Hi To Your Mom and the Strokes. Take flight with Sufis At The Cinema as the Global Express explores 50 years of Qawwali and Sufi music. We also hear from Sonoita's Roger Clyne and his latest. 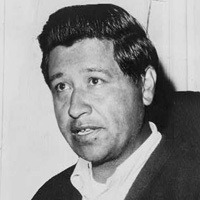 Join KXCI this Wednesday as we observe the life and legacy of Arizona born labor leader Cesar Chavez. KXCI is already home to great Latino music every Wednesday from 6:00 p.m. to midnight. For Cesar Chavez Day, Sabor Del Barrio hosts Pepe Galvez and Dj Javier join The Home Stretch. From 8:00 a.m. to midnight, KXCI features brief interviews with local educators, community leaders and others whose lives were touched by Cesar Chavez. That's this Wednesday, on your Community Radio, KXCI, Tucson. Sunday, April 13th at3:30pm on a View From Slightly Off Center, The Inter-American Commission on Human Rights on Friday heard how the vulnerabilities of LGBT Haitians have largely been ignored in relief and recovery efforts following the January 2010 earthquake, being excluded from food relief programs, subjected to in creased violence even inside displaced persons camps, and in fact blamed by other Haitians for the quake itself. Host David Yerkey is joined by Michael Hefflin, Project Director of LGBT Rights Initiative, Open Society Foundations for an informative and lively discussion.